Aaargh! Magpie season is upon us again. It’s that time of year when cyclists don helmets topped with cable-tie antennae, or weird and wonderful wigs; walkers venture out with umbrellas and sticks, sporting caps with eyes sewn on them. I have yet to see anyone in our neighbourhood wearing a hat made from an ice-cream container or cardboard box, as many websites advise, although I live in hope. Why the bizarre accessories, you might ask? Well, they are all recommended as potential magpie deterrents. 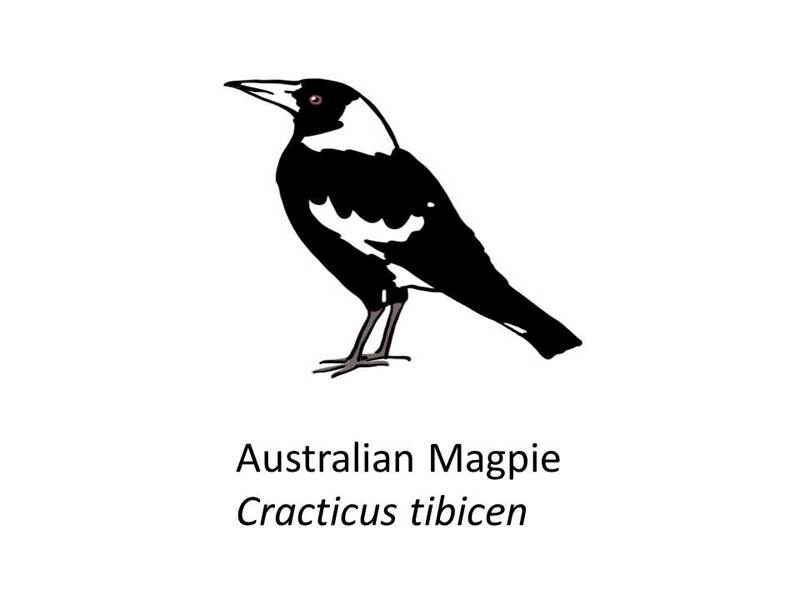 The Australian magpie is a distinctive black-and-white songbird. Its pitch can cover a range of four octaves, and it can also mimic a variety of sounds, including human speech. But from August to November, it’s nesting season and this beautiful, intelligent bird becomes fiercely territorial and protective. Magpies (generally the males) will swoop anyone or anything considered a threat, clacking their beaks as they descend. Apparently, bikes and strollers are favoured targets. Take a look at this video by Jay Cronan, a photographer at The Canberra Times, recorded on his bike route to work. In it he claims to be “one of those people” who get attacked by the magpies. And indeed, research shows that the birds swoop the same person, while leaving others well alone. Unfortunately, I too am “the same person”. When Ickle was small, I had to abandon my usual route to the shops after an alarming swooping episode. The bird in question came at us about five times, and I almost upset the stroller in my haste to escape. I started going a different way, only for another magpie to start swooping us a couple of weeks later. Out came the car for a two-minute drive down the road. We’ve been lucky so far this year. Ickle, Mivvy and I have only been swooped once (or actually several times, but on the one occasion). We are aware of a number of other nesting birds dotted around our neighbourhood, however. Perhaps it’s time to chat with others in the area and put together a magpie map highlighting the spots to avoid. This entry was posted in Life in Oz and tagged Australian magpie, ice-cream container, songbird, swooping on September 16, 2015 by Laura.